Stonehenge visitor centre will be a "tremendous boost"
CONSTRUCTION of the long-awaited, £27million Stonehenge visitor centre is well underway. The centre, which will create 35 new jobs and be used by around 1.25 million tourists each year, is set to open this winter. Two buildings have been constructed at Airman’s Corner to house an exhibition, a cafe, shop and education centre, from where they will take a passenger transit vehicle the 1.5 miles to the stones. The vehicles will be able to carry up to 900 people an hour from the visitor centre to the stones, along the route of the existing A344, which will be closed to all other traffic except farm access. On the way the vehicle will stop at Fargo Plantation where there will be a viewing point for tourists to get their first glimpse of the ancient monument. The visitor centre will employ 78 people. 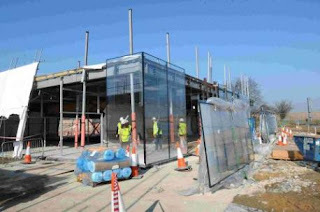 The entry price for the visitor centre will be announced later this year along with the opening date. * The opening of the visitor centre could be a huge boost to the south Wiltshire economy according to tourism bosses. 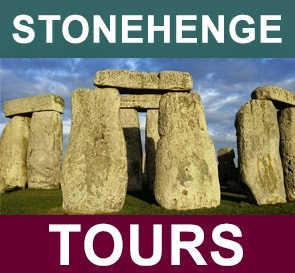 Because it will take a minimum of two hours to visit Stonehenge, they say visitors are more likely to stay in the county rather than visiting area on a whistlestop tour of the south west. 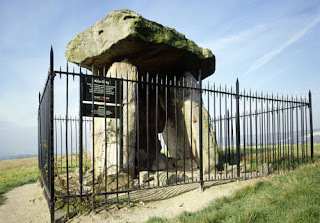 Once the A344 is closed it will not be possible to stop and see the stones from the road, which English Heritage says will build up a sense of anticipation. Other tourist attractions are also hoping they will benefit from the new visitor centre. 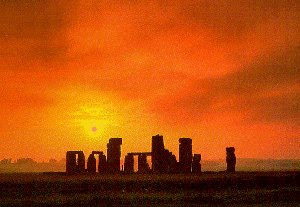 “We want to co-ordinate the way we are presenting information about Stonehenge,” said director of Salisbury and South Wiltshire Museum, Adrian Green. “At the visitor centre they will learn its history while we will have displays focussing on the excavations and more recent discoveries such as the Amesbury Archer. “We will each tell part of the story and encourage people to visit the museums as well. The world-famous Stonehenge has been laser scanned in unprecedented detail, revealing 71 carvings of Bronze Age axes not seen in more than three thousand years. The task of further examining this ancient structure, to discover more about it, was awarded to ArcHeritage, part of the York Archaeological Trust in the United Kingdom, as part of a project commissioned by English Heritage. The laser scan used point spacing of 0.5 millimetres, and resulted in an enormous data resource of 850 gigabytes. Preliminary examination of the meshed models identified individual tool marks over 5,000 years old, but it was evident that the data contained more prehistoric artwork carved onto the surface of the stones. The team decided to visualise the original point-cloud data and created a workflow using Bentley Pointools. The use of Bentley Pointools on this project enabled large datasets to be loaded, facilitating an examination of the full resolution data. The software’s shading function was instrumental in visualising the most subtle features, which resulted in the discovery of the subtle, Bronze Age carvings. Richard Zambuni, Bentley global marketing director, geospatial and utilities, said, “Stonehenge is one of the world’s great buildings surviving from prehistory – it is not fanciful to call this amazing public building ‘infrastructure,’ and although we know very little about how this structure was designed, constructed, and used, cutting-edge infrastructure software such as Bentley Pointools can be used to give us more insight into this astonishing edifice. 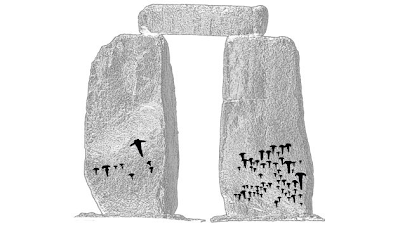 The discovery of the carvings at Stonehenge was realised through the team’s use of Bentley Pointools’ Plane Shading function to create a greyscale band 7.5 centimetres wide. This band was moved at 1-millimeter intervals through the data. As it moved, it created a high-quality rendering of the plane shaded image. The team repeated the process 75 times to complete a full colour-change for every point in the data. Depending on the position in relation to a pre-set camera plane, each point was assigned a greyscale value, allowing very subtle features to be visible. When the images were combined into an animation and played back, the carvings, which were invisible to the naked eye, were seen fading in and out. It was only through Bentley Pointools’ powerful visualisation capabilities that this eroded prehistoric artwork was discovered. Once the extent of the carvings was identified, the team deployed the measuring and point location tools to accurately plot the carvings to the Ordnance Survey grid. 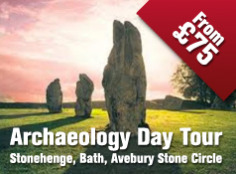 A case study on the ArcHeritage Stonehenge project is available from Bentley here [PDF link]. This year, 2013, is the centenary of a landmark moment for England’s heritage. The Ancient Monuments Consolidation and Amendments Act of 1913 recognised for the first time that there are physical remains of the nation’s history which are so special that the state has a duty to protect them. English Heritage’s origins stretch back to this Act which effectively established the National Heritage Collection and created many of the powers used to safeguard the country’s unique legacy of historic buildings, monuments and landscapes. In this part of our website, you can find out more about the Act and how we are celebrating its anniversary. This year, 2013, is the centenary of a landmark moment for England’s heritage. The passing of the Ancient Monuments Consolidation and Amendment Act in 1913 recognised for the first time that there are physical remains of the nation’s history which are so special and so significant that the state has a duty to ensure their continued survival. with the 19th century railing installed by the Office of Works. early approaches of protecting and presenting historic sites. In 1911, Tattershall Castle in Lincolnshire, built in around 1440 by the Lord Treasurer of England and considered the finest example of medieval brickwork in the country, was sold. It passed between several owners before catching the attention of a consortium of American businessmen who removed the beautiful stone fireplaces, used as models for those in the Palace of Westminster, and planned to ship them to the USA. There were fears that the castle would either be demolished for the value of its materials or dismantled brick-by-brick, transported across the Atlantic, and re-erected on American soil. An attempt by the Office of Works to gain control of the Castle came to nothing and the National Trust turned down the chance to buy it. "The whole attitude of this country and of the civilized world in general has changed towards archaeology in recent years. We regard the national monuments to which this Bill refers as part of the heritage and history of the nation…they are documents just as valuable in reading the record of the past as any monument or parchment deed…there is the case of Tattershall Castle in Lincolnshire…In these cases the government in the existing condition of affairs is absolutely helpless. All it can do is to sit still and look on while these acts happen; the only power it possesses being the limited and almost futile prerogative given it by the legislation of 1882 and 1900." There were two Ancient Monuments Acts before the 1913 Act. The first in 1882 included a list of 68 prehistoric monuments in Great Britain and Ireland that, with the consent of their owners, would eventually be brought into the nation’s care. By the end of the following year Pitt-Rivers had obtained 14 more monuments. However by the late 1880s progress had significantly slowed. As the process was voluntary, Pitt-Rivers had to stand aside whilst monuments were destroyed. Among these were prehistoric cup-marked stones at Ilkley, Yorkshire, carted off ‘probably to some rockery’. Despite its shortcomings, the first Ancient Monuments Act did set a precedent. By the turn of the century several groups were campaigning for revised legislation. Among these were the Society for the Protection of Ancient Buildings and the recently founded National Trust (1895). The Ancient Monuments Act of 1900 resulted in a major transfer to the Office, later the Ministry, of Works (English Heritage, Historic Scotland and Cadw are the Office’s direct successors) of historic buildings and monuments in the care of other Government departments. Nonetheless there were still no compulsive measures to protect the physical remains of the nation’s history. The 1913 Ancient Monuments Act or – to give the Act its full title – the 1913 Ancient Monuments Consolidation and Amendment Act changed all that. Given Royal Assent on the 15th August 1913, the Act repealed everything so far established and started again – its provisions essentially governed protection of ancient monuments until 1979. Under the Act, the Office of Works could give free advice to an owner regarding the treatment of an ancient monument on their land and could oversee any works free of charge. Scheduling considerably widened the scope of protection to the thousands of monuments on private land rather than just those in Government or local authority care. These two initiatives – the preservation order and scheduling – established the statutory protection of those parts of the nation’s heritage in private hands. It would develop in future years through the listing system and a rapidly evolving planning system. Finally under the 1913 Ancient Monuments Act, the powers of the Office of Works to collect, or take into guardianship, monuments of outstanding importance were strengthened. Public access was made a right for all new guardianships. Finally on the 19th December 1913 – the sandstone ruins of Penrith Castle in Cumbria, home of the future king, Richard III. The 1913 Ancient Monuments Act created the idea of a great national collection of monuments for public edification. Education was one of the main motivations behind the Act, second only to preservation. Since 1913, the National Heritage Collection has grown considerably and is today Europe’s most ambitious outdoor museum, consisting of 880 historic monuments and properties. English Heritage looks after 413 sites as well as their contents and archives, ranging from prehistoric stone circles to a 1960s nuclear bunker and including Stonehenge, Hadrian’s Wall, Charles Darwin’s diaries and the Duke of Wellington’s boots. The most recent addition to the National Heritage Collection was the medieval Harmondsworth Barn in west London – dubbed by poet John Betjeman as ‘the Cathedral of Middlesex’ – and rescued by English Heritage in 2012 from years of neglect and decay.